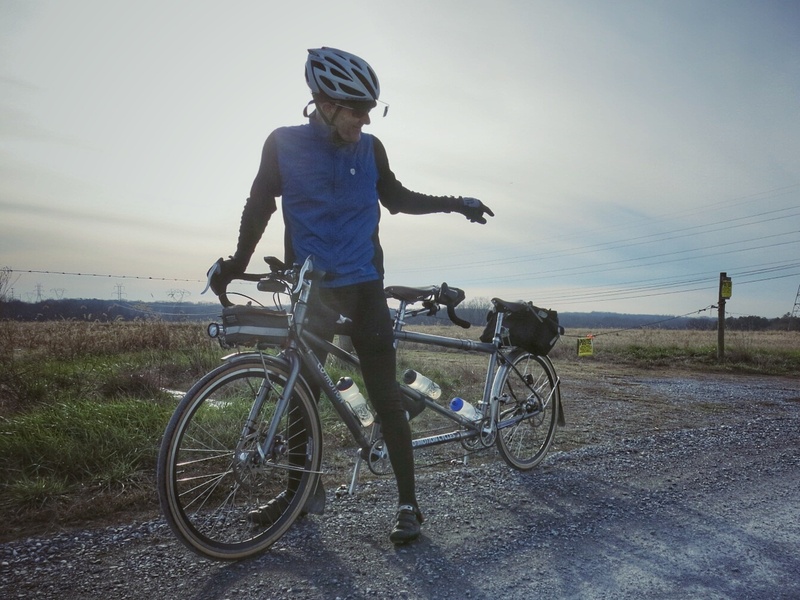 A while back, I wrote a post called Randonneur- and Real-Life Spouse, which attempted to articulate my frustration about feelings of exclusion from a particular brevet experience (the #randbro adventure). This piece also discussed some of the demeaning comments we have received over the years from men who think that my willingness to stoke a tandem was my partner’s way of motivating me to ride. I probably shouldn’t even summarize it for you, because as I re-read this post I realized it was a misfire. Both ideas dealt with exclusion in some way, but it didn’t work well to combine them. The result was a muddled message, a jumble of emotional outburst. Not saying some of it wasn’t warranted, but it should have been more fleshed out, and this should have been its own piece. Second, and more importantly, I forgot that randonneuring is an activity where we all create unique experiences under the umbrella of a group event. The fact that randonneuring is noncompetitive opens it to personal interpretation in a way that few sports do. You can really decide for yourself what you want to do with it. Some people ride to elevate their personal best, some for companionship, some for the open air, some just to take pictures along the way. For a time this year, I lacked the good humor and perspective to appreciate these differing approaches that almost always coexist during a brevet. I only had room for my own ideas of what a ride should be. This did not allow me to be open to the other rides taking place around me, and I found myself quick to judge my ride on light of what others were or weren’t doing. My apologies for my short-sightedness, rando-friends. Nothing positive results from framing one’s randonneuring approach as better or worse, or somehow more or less correct, than someone else’s. It’s also not meaningful. 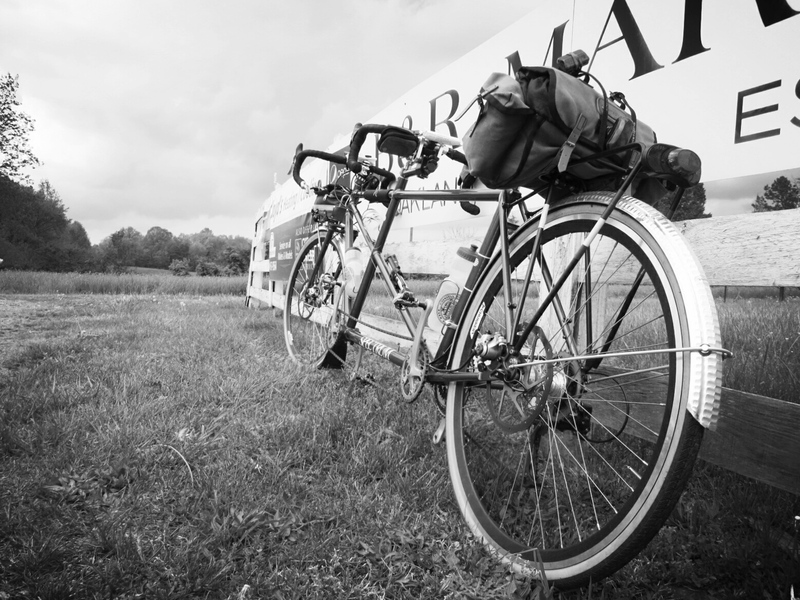 In randonneuring, there are many ways to have a successful ride. The rules of randonneuring are flexible enough to allow a variety of individual approaches. Just be sure to maintain a minimum overall speed above 10 miles per hour. And don’t lose that brevet card. And make sure you have reliable lights. And a pencil in case of an info control. And those other rules… Oh dear, I have digressed. Beyond the basic framework, though, we make our brevet experiences our own. After falling into a well of negative about my own misplaced ideas and sentiments, I came to my senses. I deeply appreciate what randonneuring rides have come to be for me. How much I like the fact that I can approach them as weekend sport touring events with Felkerino on our tandem. And that’s what I should have written more clearly about in my initial post. I hope others around me are able to unlock whatever desired experience and fulfillment from randonneuring that they seek. In the end, that is what matters. I have been following your blog for years. We’re a couple in Europe, older than you (from what I can judge from the pictures) and ride a Santana Sovereign. We go a bit slower than you, but gradually building up our confidence to go further. Just ended a tour of 11 days doing 1006 km (we set ourselves the goal of doing a billion millimetres), this was 9 days driving and 2 days resting (rainy days, but we used that as a good excuse). That’s a lot better than what we did last year, which was a lot better than the year before when we were still using our very own lead sled (our first tandem), as you aptly called it (and that’s how you showed up on google for me). I got inspired by your blog, but after the post you refer to, I was less attracted to come here and check in, even though I’m sure everything you wrote there was warranted. I thought your previous post was terrific. It’s your blog, and personal insights are more interesting than trying to find the beige middle ground. Er, make that “was” terrific. The curse of predictive text. Ha ha! I edited that for you. Thanks for your comment. And good point about the “beige middle ground.” I think randonneuring being so male-dominated creates occasional friction for me, and I don’t always know how to wrestle through that. In the end, I don’t want that friction to detract from my own ride experience to the point that I’m not enjoying randonneuring. I am SO behind on reading right now, so I’m just seeing this, but I had to say that I understand your thoughts from the first post earlier in the year and also in this post. As someone who has ranted in moments of irritation, anger or frustration and then later somewhat or completely regretted, or perhaps wished I’d re-worded/re-thought the initial post, I have tried to do as was mentioned in an above comment and realize that it is a blog and therefore opinion – MY (or in this case YOUR) opinion. Even in those worked-up moments, it was my feeling or thought that was expressed and time almost always gives perspective and/or the ability to understand more completely the whole picture and/or the gravity (or lack thereof) in a given situation. Sexism (and other forms of discrimination or stereotyping) is a real thing though and while not every male on the planet will make comments such as “little woman” or even think that related comments are sexist, it doesn’t mean that it shouldn’t be discussed and addressed (I do have a sense of humor, but I think there are times when it’s not funny or appropriate to even joke about such things). I have tried to figure out ways to address these moments when they occur, but my brain is not always quick with retorts in the heat of the moment, so sometimes a post is the only way to get it all out. Reading your posts I have always found your “voice” to be interesting, thought provoking, passionate, and perceptive, and I don’t think you should feel the need to apologize for speaking your truth – even if that truth wasn’t necessarily relayed in the same manner you would at a later time. G.E., thank you for your comment, AND for your kind words about my voice. These are qualities I aspire to, and for you to articulate them means so much. This is one of the first times I’ve revisited a post and responded to what I wrote at that time. I think it was a good exercise, as truly personal blogs like ours can be constructive spaces to express our thoughts, even if they are not fully formed, or perhaps controversial. I do think that there are issues of sexism in cycling (in almost EVERY arena) that I struggle with or encounter in some way on a daily basis. Talking about it can be hard because it is a sensitive subject with the potential to alienate others. When I looked back on what I wrote originally, I realized that I value my experience for what it is, and that should be enough when doing a brevet. I do see this undertone of a bro-ride experience on a lot of randonneuring rides, but I wonder how the post would have worked if I had focused on that, rather than how my experience contrasts to that. Anyway…. a long-winded response to your note. Thanks again for writing. I don’t think there was anything inappropriate about your earlier post–no need to apologize for it! In my experience, my local randonneuring community has been supportive, but I’m sure it’s different from region to region. Glad to see you’re writing again. As you know, you can’t keep a good woman down.